Happy National Send a Card to a Friend Day! Life is busy and it's far too easy to lose touch with good friends. Observed on February 7th, National Send A Card To A Friend Day is the day to set aside a few minutes to write a note to a friend, letting them know you're thinking about them and you miss them. Whether it's a short message or a long letter, sending one will be a nice, unexpected surprise, and will surely make their day! 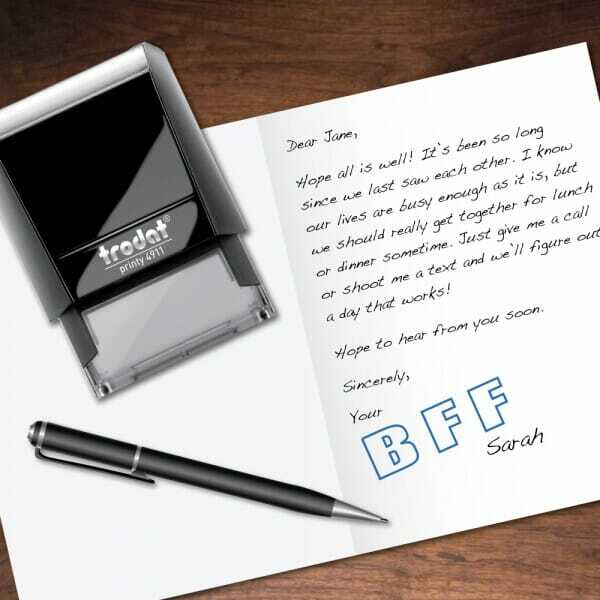 GetStamps.com wants to help you keep in touch with friends with the Trodat Printy 4911 BFF self-inking specialty stamp. Use it to give your card that extra special touch!